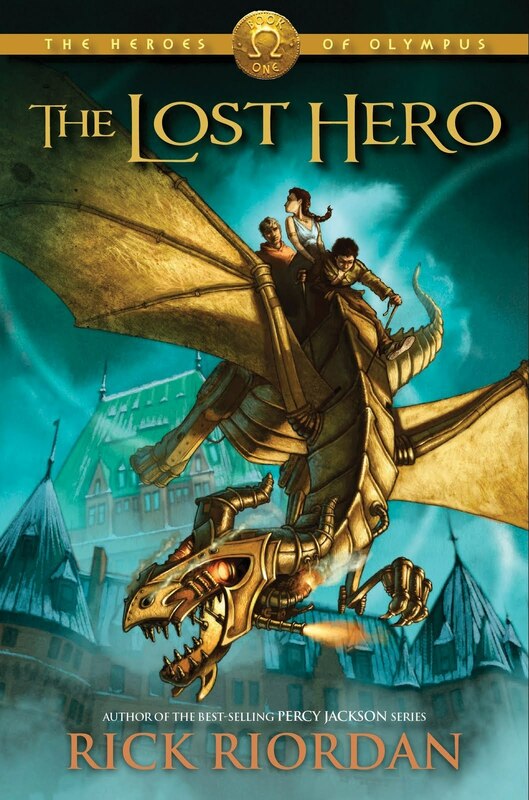 The anticipation surrounding Rick Riordan’s latest novel The Lost Hero was so strong, we could have built a temple atop it! What’s not to love? A whole new batch of demigod heroes sent to rescue the world again. Riordan’s novel gratefully returns us from his brief Egyptian venture (personally, that was a poor choice of a new series, but I’ll cover that later) and returns us to the god fearing, monster battling world of camp Half-Blood. This time, we follow a whole new set of demigods as they race to uncover who, or more precisely, what, has stolen a member of the Olympic counsel. Camp Half-Blood is in turmoil. Percy Jackson is missing. The gods are silent. The Doors of Death are open. Something is rising in the west (again). A supposed rescue mission for Percy instead rescues three new demigods, who will change the camp and the future of the Olympic gods forever. Meet Jason, Piper, and Leo, three demigods unaware of who they really are. As usual, Riordan throws in some teenage puppy love, a few middle school jokes, and an evil bully who turns into a monster. Yet, Riordan still manages to make it seem all new, and not like a Percy Jackson Jr. Book. After a close fight with a bully turned tornado, our heroes are rescued by none other than Annabeth Chase, hero from the last Percy Jackson series. I really liked how Riordan wove these two series together. this book focused on new demigods and only included brief appearances by Annabeth, Chiron, and Rachel Dare (Oracle Extraordinaire). Don’t get me wrong, I loved those characters, but as this is a “new series” I’d love to meet the new characters. Don’t worry, from the next book’s title Son of Neptune it is obvious that Percy Jackson still has a major role to play. Anyways, with a Olympus silent and Hera missing, it is up to our brave heroes to figure out where, and how, to rescue her. Transportation by mechanical Dragon, is no problem for Leo, son of Hephaestus, while cajoling people into lending them resources is similarly not a problem for Piper, daughter of Aphrodite. By switching around the major god’s influences on the main characters, Riordan has allowed the reader to discover new concepts about these gods/goddesses. Personally, my viewpoint on Aphrodite in the previous books was…well…that she was a complete and total ditz (Understandable, based on the actions of her children in the Jackson Series). And yet within T.L.H, one cannot help but find her influence on Piper in the best possible way, showing how love can be the strongest of weapons in defense of your friends. Hephaestus too comes across as a socially awkward, but caring father-from-afar. I won’t tell you who Jason’s father is, but he does end up meeting his sister out on the trail of the missing goddess. As usual, Riordan peppers in impressive fight scenes, a host of new villains/monsters, more modern technology mixed with ancient Greek cultural traditions and figures (the Aeolus Weather Channel, with gods changing the forecast every minute or so, provides another cool moment of insight into the evolution of Greek gods and spirits) The book gradually takes on a more Roman flavor the further on you read. each chapter introducing new roman concepts, and gradually all pointing to the fact that Jason is…well…not quite Greek in terms of thinking. This book is a definite must read, and had me up till the wee hours reading diligently and excitedly for each new page. For fans of Riordan, this book will leave you much more excited than the Red Pyramid did, and will also make you wish that his next book comes out sooner than late 2011. Definitely, 10/10 stars.